​There are many reasons for trimming trees and shrubs. Some of those reasons are safety pruning, structural pruning, garden pruning and maintenance pruning. Spartanburg Tree Care can provide you with ideas on what type of pruning would be helpful for your unique situation. It is important to remember that not every tree is the same. It may be better to save a tree, than to remove it permanently. Give us a call and would would be happy to answer any questions that you may have about the tree in your yard. When it comes to pruning for safety reasons, we want to make sure that we remove any deadwood, broken limbs, tree limbs with tight angles of attachment and reducing the weight on horizontal limbs. 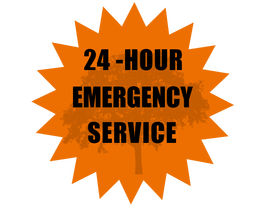 We are in trees all day long and we want to make sure that we take every precaution to do the best job possible with the least amount of risk to your home and our employees. We use only the best equipment on the market today to ensure that we stay up to date and as safe as we possibly can. A great way to make sure a tree has a healthy and strong crown is to prune a tree while it is young. Pruning a tree while it is is gives the tree a much chance of surviving a storm or high winds later on in it's life. If you need to have those unsightly shrubs or trees pruned, then we can make them look their best. Also, when it comes to maintenance pruning, we want to make sure that trees limbs are not too close to your house, low hanging over a driveway, parking space or sidewalk. We want to make sure that you have enough clearance for parking driving and walking on your property. Pruning should last for several years when done properly. Spartanburg Tree Care has been serving the Spartanburg, SC area for years. We want to make sure that we provide each of our customers the best tree service possible and we would love the opportunity to earn your business. Give us a call today and we will answer any questions that you have about your trees and shrubs, sometimes pruning can prevent tree & stump removal. We serve the Spartanburg, Duncan, Inman, Boiling Springs, Moore, Roebuck and Arcadia, SC areas Call us today for the best affordable, friendly tree trimming in Spartanburg, SC.